Valentine’s Day is coming up and I am sure that is the main stressor in your life right now! Everything from planning a special date at the newest restaurant, arranging flowers and gifts for your loved one has to be stressful! It seems like in this day and age, we have forgotten the real reason for Valentine’s Day, to celebrate the love you have and share with others. 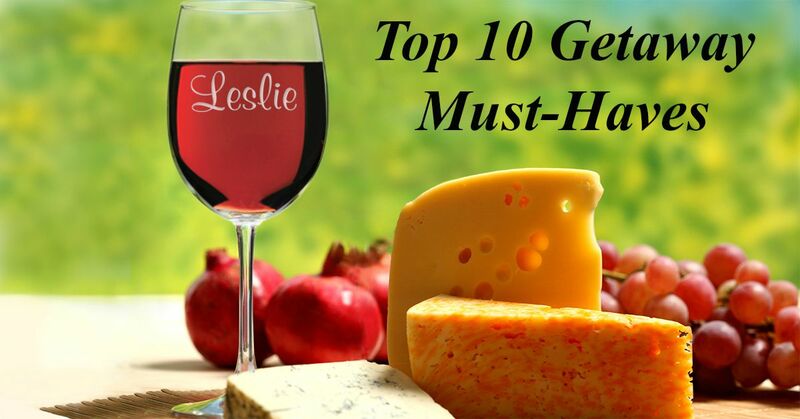 Instead of running around and stressing, try a thoughtful and memorable gift. Something that conveys the love you share and can be treasured forever! This heart shaped plaque is the ONLY Valentine’s Day gift you will need this year! When I saw you, I was afraid to meet you. When I met you, I was afraid to kiss you. Now that I love you, I am afraid to love you. Remember, Valentine’s Day is about celebrating the love you have and the relationship you share, not how much you spend on the day! It’s not about how much you spend but the memories you create with your loved one. Flowers die and food spoils, gift something that can be cherished forever, a true testament to your love! Let us help take the stress off this year with the ONLY Valentine’s Day gift you will ever need! Valentine’s Day is approaching and getting the perfect gift for that special women in your life can be stressful! Need help thinking of a gift? This year, instead of jewelry or flowers get her sometimes special; Something that she can use or treasure forever and is a reminder of the bond you share. A beautiful flower bouquet is a time honored classic Valentine’s Day gift. Update that tradition with this modern spin – adding a personalized Vase. A great way to spruce up flowers and the perfect gift for all of the important women in your life! Flowers will soon wilt; give her a gift that she can use for all of her future Valentine’s Day Bouquets! 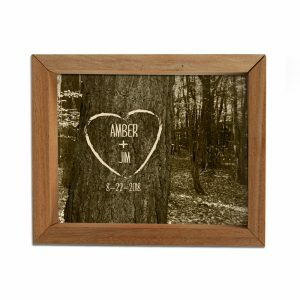 From Canvasses with your favorite photos and memories to initials carved into a tree, wall art is a great gift to celebrate your love! Personalize with photos, names and special dates to make it gift that will be hung on the wall with pride for years to come! 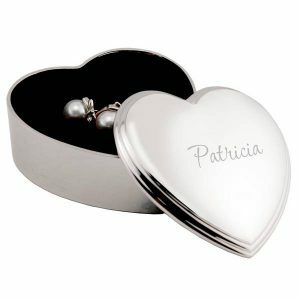 For a small and sweet gift, try a personalized Jewelry Box. 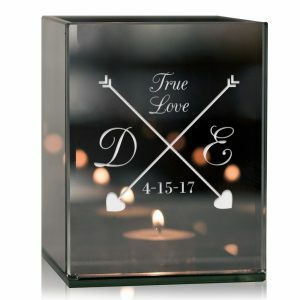 Engrave with her name, initials, a unique nickname or even a special date to truly make this a gift she will cherish! Make it even more special and add a sparkling pair of earrings or this classic engraved bracelet to really make it a gift she will remember. 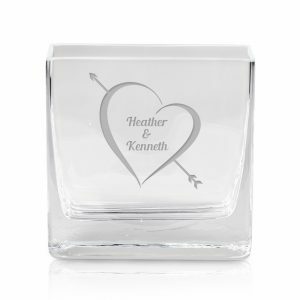 A thoughtful and unique gift this Valentine’s Day is a personalized keepsake box. 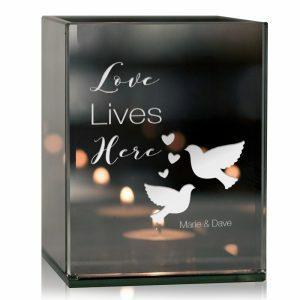 The perfect place to safely hold love letters, tickets from memorable events and even small trinkets. 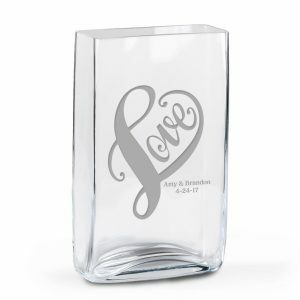 Personalize it with your names and a special message to truly make this a gift she will use for all of her special memories! Keep the spark of your love alive with a stylish candle holder. Light up any room with the warmth of the love you share. Modern enough to match any décor, this candle holder can be used in any room. 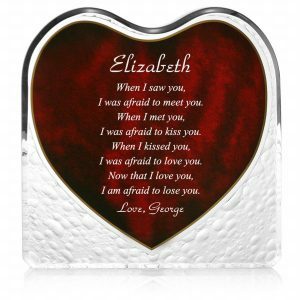 Personalize it with your names, initials or even a special date and this is sure to be used again and again! Take the love you share everywhere you go with this unique phone case set. 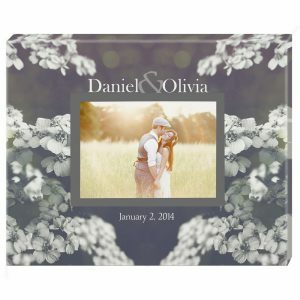 Personalize each side with your names or a special date and always be reminded of the love you share. When close together, the hearts will connect and show your true chemistry! Finding the right gift for that special lady in your life requires a lot more thought and care than birthdays and other occasions. Valentine’s Day is considered one of the most romantic days of the year, make this year extra special with a meaningful and memorable gift idea from our list. Did we miss any gifts? Let us know what you think and what the perfect Valentine’s Day gift is! October is nationally known as Breast Cancer Awareness Month, and Memorable Gifts is joining in the fight to raise awareness and be part of the solution! According to BreastCancer.org about 1 in 8 U.S. women (about 12%) will develop invasive breast cancer over the course of her lifetime and an estimated 231,840 new cases in women and 2,350 in men are expected to be diagnosed in 2015. We are well into the summer with the start of August – a time when most couples like to take time away from the daily routine and embark on a romantic getaway. Quality time is of the essence to any relationship and can be created through an outing as extravagant as backpacking in Europe or as simple as a picnic in the park.